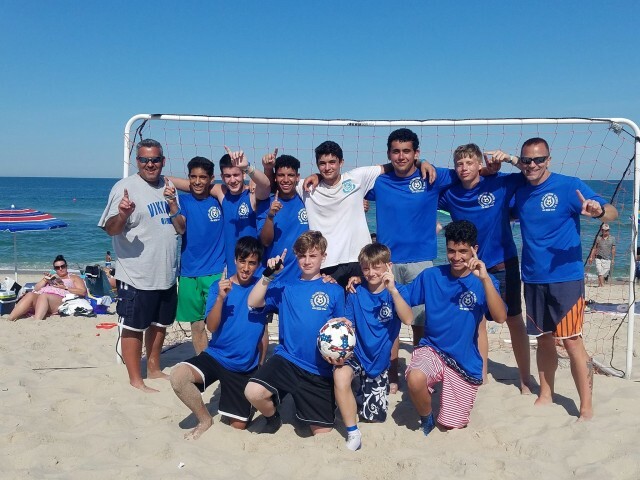 Congratulations to our U15/16 Vikings on their championship finish today in the Seaside Heights Sand Soccer Storm Tournament. The boys went undefeated in 5 games and earned the top spot. These boys made it to the finals last year and lost a heartbreaker 3-2. They came back this year with a mission and won the finals 3-1 over Twin County Rampage of Brick.